A few weeks ago a raccoon was bold enough to come into the chicken yard at a time when the dogs were under lockdown. 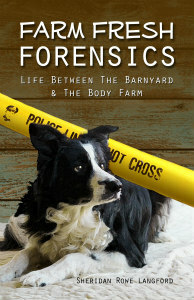 No loose dogs to guard the farm resulted in a headless chicken and an enraged farmer. Score one for the Boogey Beast. This also resulted in more farm math. Let us set up the equation. And show our work. Are you beginning to see how this works? Let's try another one. I see you're getting the hang of it, so let's set the next one up as a word problem. A farmer has 20 chickens, 2 guineas and 7 dogs. If that farmer feeds and releases 17 chickens and 2 guineas to free range in the barnyard, and then takes 7 dogs for a walk, how many birds will the farmer have when she returns from a 20 minute walk? 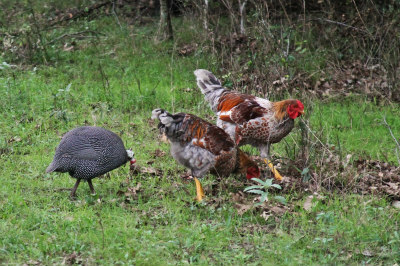 The farmer will have 2 guineas and 16.2 chickens. We need to show our work, so let's set it up. What is missing from this equation? Yes, the rest of the chicken. Who can project the next equation? 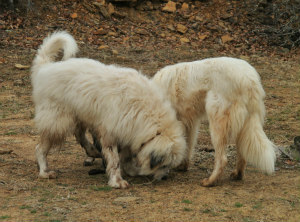 18 loose birds + 1 Anatolian + 2 Pyrenees + BoogeyBeast X = ? 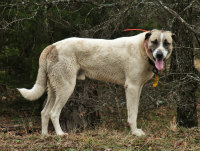 It is quite clear from our mathmatics equations that at no point can free range poultry be without Livestock Guardian Dogs for even the shortest amount of time. To hijack the quote by R.J. Childerhose, "There are old Boogey Beasts and there are bold Boogey Beasts. There are no old bold Boogey Beasts." your time and your money into it. And then you stand in the barnyard and wish it dead. them. If you only want eggs then you don't even need them. 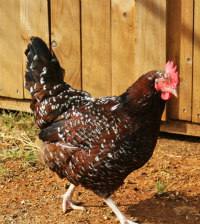 I started with seven Golden-Laced Wyandotte hens. No rooster. Didn't want one. Didn't need one. Then my hens started free ranging. They soon left the barnyard area for excursions into the Land Of The Boogey Beast. 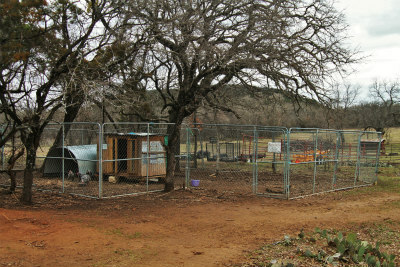 predators and protecting the hens. Let me be a cautionary tale for you. Don't do this! summer, but not before I was able to save their genes. an excellent rooster (if there is such a thing) and thus he gets to stay. stroke - Margaret Thatcher, thus I have named her Maggie. brother is okay. The ugliest one. The brother with no neck. He has a nice temperament. Beautiful plummage. But no neck. His head kinda sprouts from his shoulders. Thus I named him No Neck. for being roosters, until . 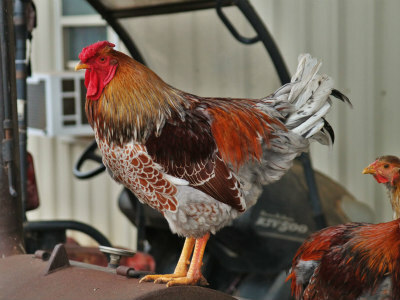 . .
me most of her Speckled Sussex hens - 10 more hens. One hen crawled into a spot to lay an egg and couldn't get out. She died there. stay. Until yesterday they didn't have real names. Now their names are: Colonel Sanders & Soup Pot. their coops without fear of being raped. a barnyard. This pissed me off further. Other Half has not counted on a few things. 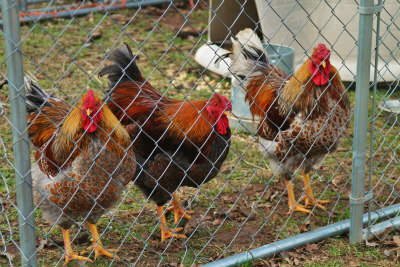 spoken and the roosters are either to be incarcerated, sold, or end up in a soup pot. 'Nuff said. he doesn't have t-post resistant genes. And so this morning the sun rose on a new chicken yard - Alcatraz. pot. The weather is getting colder. And I do love chicken and dumplings. juggling them daily. But then . 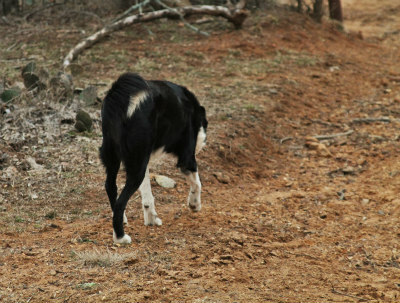 . .
small pony wandering into the camp with a curious, "Howdy Neighbor!" foolishness in the bud, Bramble's new working partner is the tried, true, and trustworthy Briar. 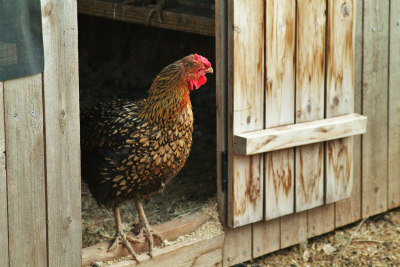 chickens are returning to their coops. And therein lies the problem. The chink in the armor. would not be so bold as to launch an attack so close to the house. And "bold" is the word of the day. Read my lips. outside kennels in a rather large barnyard. Thursday night was The Perfect Storm. there when I got back. This proved to be more than a small chink in the armor. particularly Beast is a raccoon because they are quite numerous here and are notorius for beheading chickens. I stared down at my headless chicken and thought about the number of times I have stared regretfully at a raccoon carcass baking in the sun after a close encounter with a white dog the night before. I will no longer feel sorry for Rocky Raccoon who cannot outrun an Anatolian. No sympathy whatsoever. 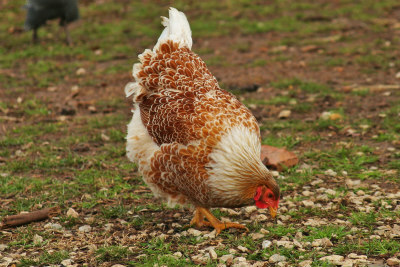 The life span of a chicken is from birth until its first encounter with a raccoon. 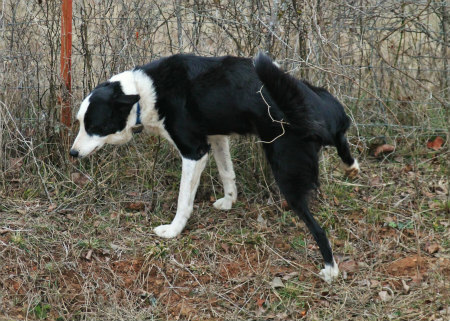 The life span of a raccoon is from birth until its first encounter with a Big White Dawg. And there you have it. An hour and a half. That's the measure of your security system. 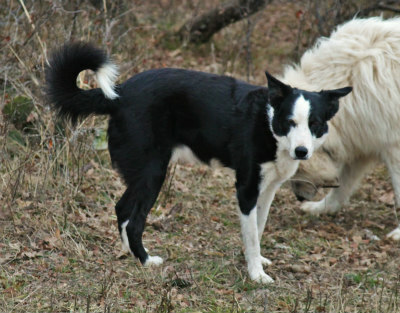 It's easy to believe the dogs aren't worth the trouble when they're working and your nightly numbers add up, but how long can you go without the dogs? I cannot go even an hour and a half.